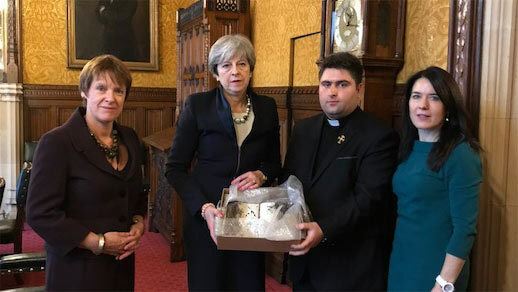 Father Daniel, an Open Doors partner from Erbil, Iraq, had the opportunity to meet with Prime Minister Theresa May on 13 December 2017. 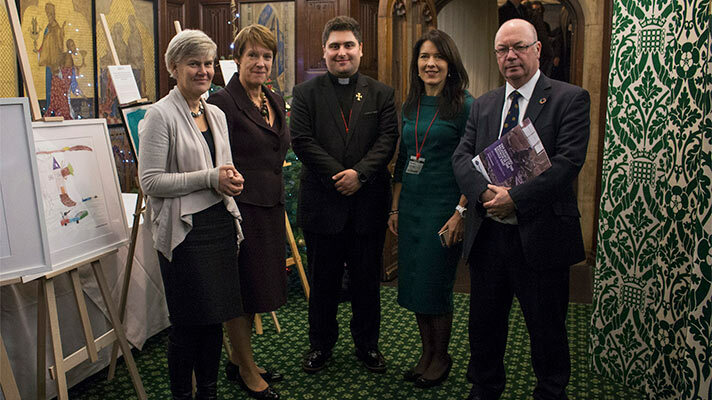 Lisa Pearce, CEO of Open Doors UK & Ireland, and Dame Caroline Spelman MP were also at the meeting. 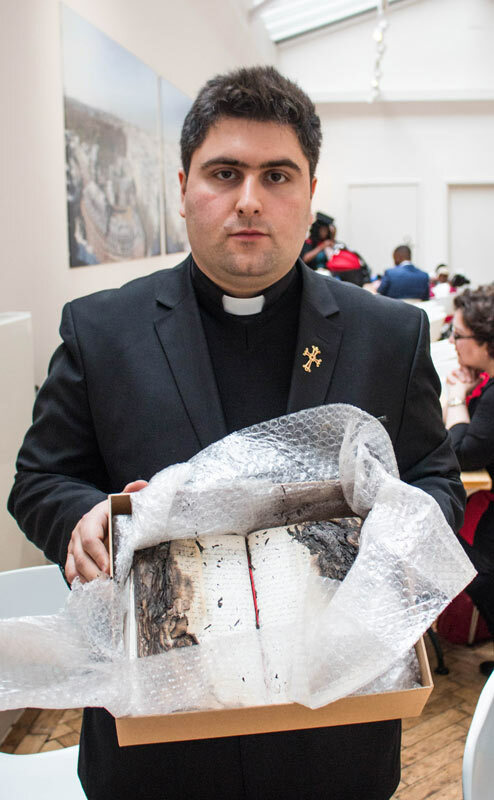 Father Daniel gave the Prime Minister the gift of an Arabic Bible, retrieved from a church in Karamles, Iraq, that had been burned by the self-proclaimed Islamic State. The survival of the Bible symbolises the hope which the Christian community in Iraq continue to hold on to. Caroline Spelman and Kate Green opened the event, speaking of their moving encounters with women who had been abused by the self-proclaimed Islamic State in the Middle East, speaking of both the horror of those atrocities and the strength shown by the women they had met. 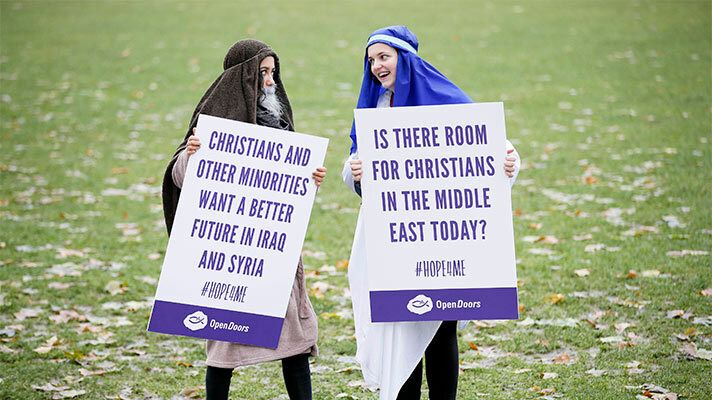 Lisa Pearce, CEO of Open Doors UK & Ireland, outlined the calls of the Hope for the Middle East petition, asking for equality, dignity, and a role in bringing reconciliation for Christians and other minorities in Iraq and Syria. “They’re targeted, they’re exhausted, and they feel that to the outside world they’re invisible,” she said. Alistair Burt MP, Minister of State for the Foreign and Commonwealth Office and the Department for International Development then addressed the meeting, speaking of the need for good governance and tolerance in the Middle East. 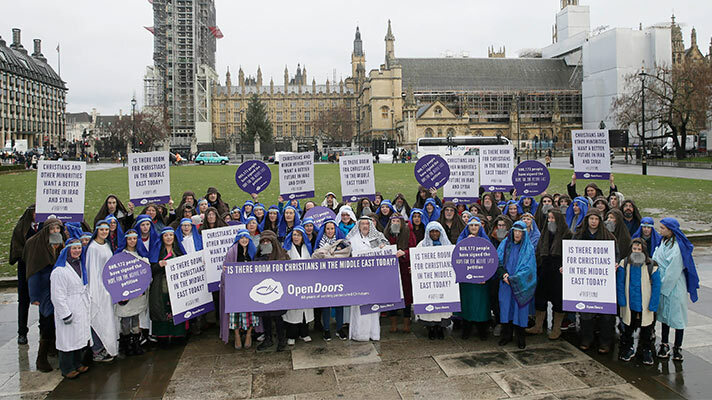 In Kate Green’s introduction, she said, “I became involved with Open Doors because people in my constituency asked me to be.” We hear this on a regular basis from MPs that we meet with – your voice really does make a difference! 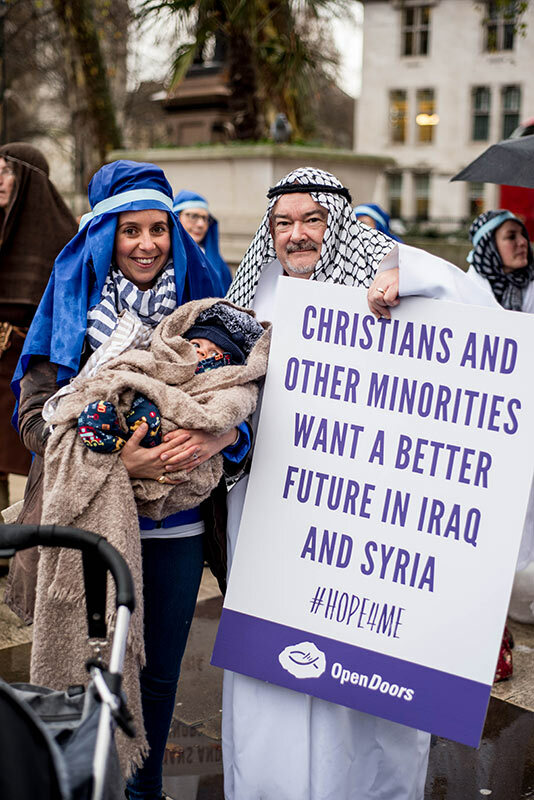 Thank you to everyone who wrote to their MP or met with their MP to let them know about the Hope for the Middle East campaign, to everyone who signed the petition, to everyone who asked others to sign the petition, and to everyone who prayed. None of the events of this week would have been possible without the support of people like you. Let’s keep speaking out for our persecuted brothers and sisters around the world – Order a free wristband as a reminder to pray and speak out or sign up to our inspiring emails.